The panel talks to Peter Nicholson. SimplyScripts Radio is produced by Michael Cornetto and Jon Barton released under a Creative Commons Attribution Non-Commercial No Derivatives 3.0 license. Thanks to Jon for the heads up on a couple of scripts from the BBC Writer’s Room which has a small script library. You can check these and other scripts out on the Movie Scripts page. Shifty, a young crack cocaine dealer in London, sees his life quickly spiral out of control when his best friend returns home. Stalked by a customer desperate to score at all costs, and with his family about to turn their back on him for good, Shifty must out-run and out-smart a rival drug dealer, intent on setting him up for a big fall. As his long time friend Chris, confronts the dark past he left behind him, Shifty is forced to face up to the violent future he’s hurtling towards. SimplyScripts Radio – The One Week Challenge Edition. The panel Michael Cornetto, Pia, Jeff Bush, Sandra Watson and Mike Shelton discuss One Week Challenges past and present – what they remember, what they like and what they would change. BabzHeist – Babz challenges you to write a Heist script and submit it to Simply Scripts. The lower the budget the better. The challenge is open ended. The titles of all entries must be prefixed with the word BabzHeist. Onthevergitis: (un-thuh-verg-eye-tus) Noun – the condition which can occur when writers live and die by the sale of a particular script. This condition has been known to create at least anxiety, and in some cases extreme inertia, paranoia, envy, jealousy and inactivity. Suggested treatments: socializing, networking, attending events and classes, helping others, writing more, conducting or participating in table reads, acting classes, directing class audits and most importantly living a balanced life, to name a few. MoviePoet.com announces the Semi-Finalists for their annual Feature Length Contest. These 30 semi-finalists submitted the top loglines and will be moving on to our second round in April when they will submit their first ten pages. Then in August, the top ten writers will submit their feature length screenplays. Each month, Movie Poet runs a free online five page screenplay contest. On the first of each month a new contest is announced. During that month, you can enter your script. During the next month, you can read, vote, and comment on all the entries. Finally, during the third month, the results are announced. MoviePoet.com is proud to announce the Semi-Finalists for our annual Feature Length Contest. 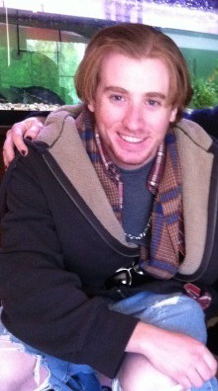 Writer Bio: Greg Baldwin is a recent graduate of San Diego State University where he studied marketing and history. In his post-graduate days he has worked for an agency representing David Hasselhoff, contributed to several independent films, and trained rescued and sheltered dogs. Today he is continuing his education while searching for a fulltime career. 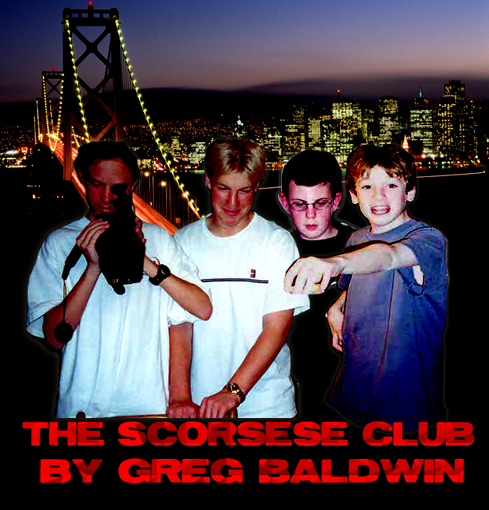 Greg grew up in the San Francisco Bay Area and many of the experiences in The Scorsese Club were based on his days as a childhood filmmaker with his friends. His other work on the boards includes Addiction, a comedy about America’s obsession with an early social networking website, The Lost Ghost, a Gothic horror short, and Winner Takes All, a Monopoly-themed comedy short. Also in the works is the apocalyptic adventure All Highways Lead Downtown, a project two years in the making that Greg hopes to have finished this spring. Entries (RSS) and Comments (RSS) | 63 queries. 0.202 seconds.